SIDARI SERIES-. 270ml capacity. BOX OF 6 GLASSES. Create a modern look, enjoy the atmosphere and entertain in style. 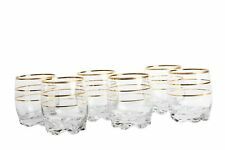 Set of 6 Gold Rim Glasses. height 88 mm. Capacity 250ml. Glass Tumbler Set. We do however try our best to shorten the process. Effective Date?. Perfect for water, juice and cocktails. Due the quality and make of different screens and monitors the colour of the products can display in different shade compare to the original. 2 x 47cl Hi-ball tumblers. 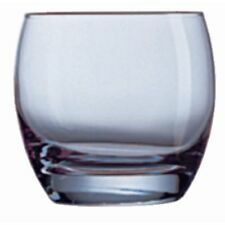 These particular tumblers feature a design that is square at the base and round the top. Set of forty seven centilitre hi-ball tumblers. Made by Durabor as part of their Quartz Old Fashioned range of glassware. SIDARI SERIES-. BOX OF 6 GLASSES. Create a modern look, enjoy the atmosphere and entertain in style. SET OF 2 - Approx size: 450ml / 15 floz each. Size H 10cm x W 10cm. Diamond glasses are a connoisseur's best friend! Let your drink sparkle in these diamond facted glasses, using the various angles to tilt your glass and release the aroma. Set of 4 Retro, 50s/69s Tumblers, Drinking Glasses. Blue & White Pattern. SYROS SERIES-. 350ml capacity. BOX OF 6 GLASSES. Create a modern look, enjoy the atmosphere and entertain in style. 6 x 350ml Hi-Ball Tumblers. Set of hi-ball tumblers, made from plastic with a glossy white finish. Suitable for serving alcoholic and non-alcoholic cold drinks. Each tumbler has a capacity of three hundred and fifty millilitres. This is a set of 6 retro small tumbler glasses with a green base made in France, by Luminarc. The set are in excellent with no chips or cracks. The glasses measure 8cm tall and 6cm diameter at the rim. Delectable rose tinted purple glass tumbler from Bloomingville's Art Deco collection. Nordic style with personality to enhance your living space. Colour: Light purple. Material: Pressed Glass. BAD TASTE BEARS. Consisting of 4 shot glasses. AC / DC Designs. Cosmic Gifts have been established for over 25 years. Providing new and unique gift solutions for any event. BACK TO SCHOOL. Capacity 20ml. Straight Glass Tumbler. Detailed printed colour artwork. Cosmic Gifts have been established for over 25 years. Providing new and unique gift solutions for any event. Housed in a presentation box. BACK TO SCHOOL. Set of 6 bird glasses/tumbler. 4 Vintage Pall Mall 'Lady Hamilton' Glasses. 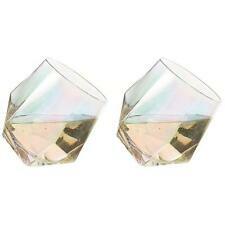 .4 matching Toasting / Small Tumbler, Pall Mall 'Lady Hamilton' Glasses. Hold approx 9oz / 26cl. With a variety of sizes and styles available, you can be sure that, whatever tipple takes your fancy, the Durobor range of drinking, bar and glassware will be able to quench your thirst in style. These glasses are in a very good, clean condition. Set of 4 Hi-Ball Tumblers. Set of four Ravenhead hi-ball tumblers made from strong and durable dishwasher safe glass, they feature a contemporary curved shaped design and are suitable for cold drinks such as juice and water. Set of four 350ml capacity hi-ball tumblers. Made from thick glass each tumbler weighs 275g. 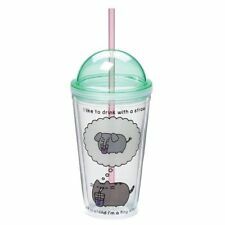 They are suitable for serving cold drinks, and are dishwasher safe for easy cleaning. 4 x Hi-Ball Tumblers. Bring the vibrancy of the outdoors inside with these beautifully embossed glass tumblers. Perfect for outdoor al fesco dining. Katie Alice has managed to harmonise bohemian-inspired Festival Folk in an eclectic collection for casually elegant evenings spent outdoors. This set of four comes in different colours :- light teal green, midnight blue, pink cranberry and honey yellow orange. Approximate Size: 12.4cm (h) x 7.8cm (dia) Capacity: 350ml Hand wash only . IDEAL FOR GIN MIXES PIMMS OR EVEN WATER. BEAUTIFULLY FINE AND HANDCRAFTED. Marvel Avengers Cold Change Glass. This Marvel Avengers cold changing glass is sure to get your morning off to a strong start. Room temperature, the front of the glass shows the Avengers logo in black on both the front and back. When cold liquid is poured in, the glass transforms to reveal four classic Avengers superheroes in different colours-Captain America, Iron Man, Thor and The Hulk. Once the drink is finished the glass returns to its original state as it warms back up to room temperature. Features: Marvel Avengers Cold Change Glass. Features Avengers logo and the superheros. Changes colour whenever a cold drink is added. Black and white image when room temperature. Coloured image when cold drink poured. NOT dishwasher or microwave safe. Capcity 450ml. Measures approx. 9 x 9 x 15cm. Set of hi-ball tumblers, made from plastic with a glossy black finish. Suitable for serving alcoholic and non-alcoholic cold drinks. Each tumbler has a capacity of three hundred millilitres. Dishwasher safe for easy cleaning. Capacity : 12oz / 340ml. 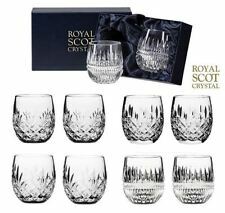 Elegant and distinctive these glasses are sure to impress. Made from quality manufactured glass, making them strong and durable. Dishwasher safe. Set of 3 clear glass drink glasses/tumblers with gold coloured detailing. The age of the glasses is unknown. Set Of 6 Lemonade Glasses. Complete with retro wire basket. Set of 6 glasses. Official Harry Potter Marauders Map Drinking Glass - Boxed Paladone. Capacity 315ml. Glass Tumbler Set. We do however try our best to shorten the process. Effective Date?. Perfect for water, juice, whiskey, cocktails and spirits. Due the quality and make of different screens and monitors the colour of the products can display in different shade compare to the original. 2 x 47cl Hi-Ball Tumblers. 2 x 47cl Hi-ball tumblers. 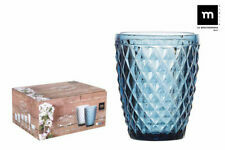 These particular tumblers feature a design that is square at the base and round the top. Set of forty seven centilitre hi-ball tumblers. Made by Durabor as part of their Quartz Old Fashioned range of glassware. Official Shepperton Design Studios product. One Original Stormtrooper Glass. Based on the original Stormtrooper armour moulds made in 1976. Set of 6 Glass Whisky Tumblers from Duralex. Made in France since 1945, Duralex glass is virtually unbreakable and 100% non-porous, remaining free from staining & contaminants across its lifespan. Microwave, Freezer & Dishwasher Safe. Supplied in a coordinating presentation box. 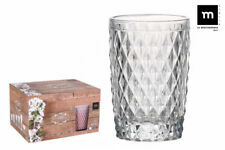 Set of 4 Retro, 50s/ 60s Tumblers, Drinking Glasses Rose Pattern.